I did not grow this corn. Too cute. Neither did the squirrels grow this corn. Oh, no. 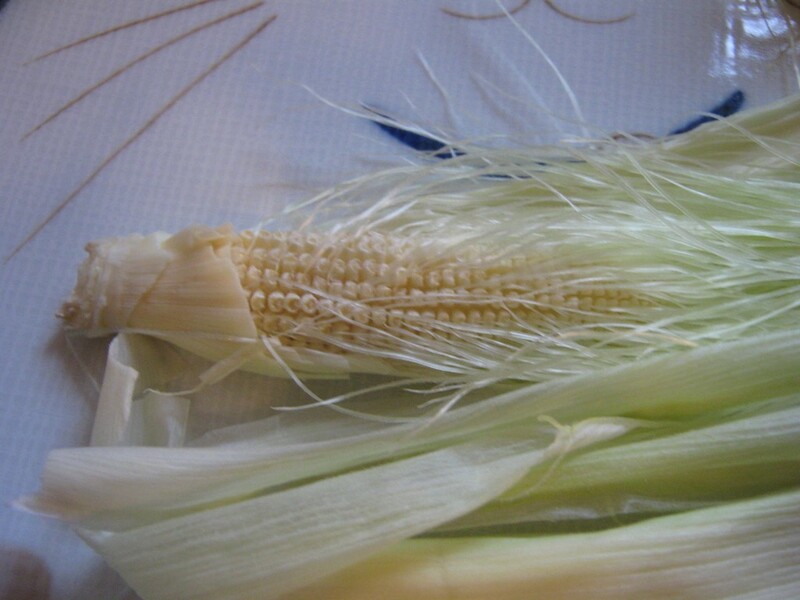 This corn is so professionally grown, it formed as a slender extra ear clasped within the husks of a full-sized ear of corn we had for dinner. The kernels are so fine, so perfect, so fully formed, and yet too tiny for anything but the admiration of a Cheshire cat smile.